My Uncle Bill is a man of many talents. He hates to see something be thrown away or junked out if it could have some value. Now, I’m not saying that he is a hoarder, because that just wouldn’t be accurate. He just sees value in things that others don’t…such as an old bus. Uncle Bill came into possession of an old bus, and spent some time fixing it up to be used as a camper for his family. And it worked quite well. They did a lot of traveling in it, coming out many times to visit us here in Casper. 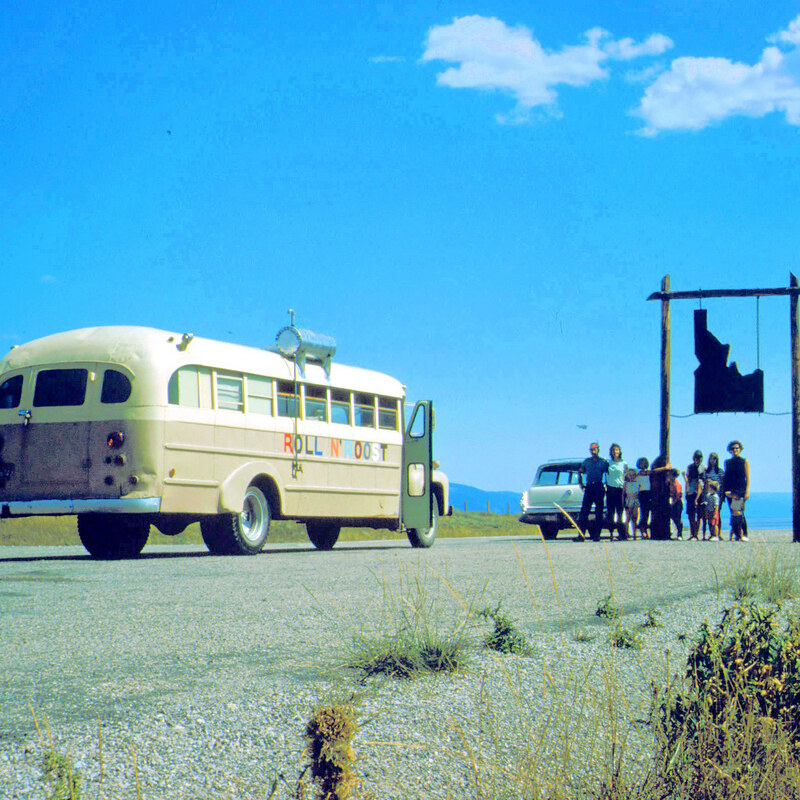 We took trips around Wyoming in that bus, and it was also a favorite hang out when they were here. Uncle Bill and I used to go out there and play Cribbage, while some of the other kids played in the bus. 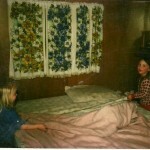 My little sisters liked to play house, because it was a separate “house” from my family’s home. And Of course, there was the various kids who wanted to play “driving” in the bus. I remember one time when my cousin Billy was “driving” and he found out that if you take the bus out of gear on a slope, the bus will roll. Thankfully, Uncle Bill and I were playing Cribbage at the time. I never saw my uncle move so fast. He ran to the front of the bus, and put it back in gear. Then, when he stopped shaking, he calmly backed the bus back to it parking place with a boys will be boys attitude. Thankfully there were no other cars in front of us. Looking back now, it’s easy to laugh, but it wasn’t very funny then. The trips we took in the bus were so much fun. 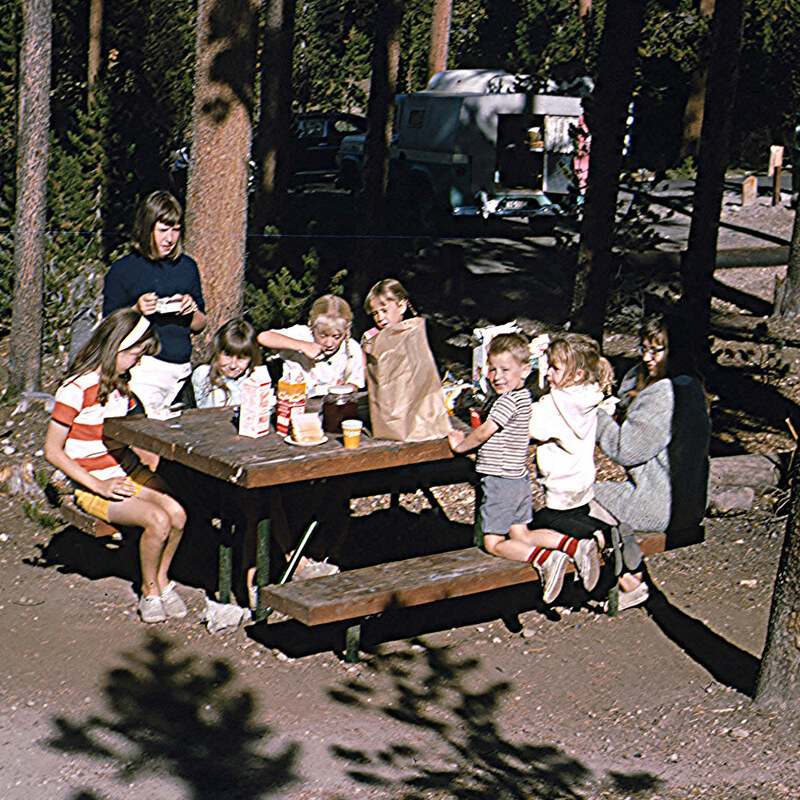 No one had to be tied down, you could sit and the table and talk or play games, and just enjoy the freedom to move around. It was much like traveling in a train…and we all loved it. I remember Uncle Bill teasing us kids about having to lick up our ice cream if we spilled, and then when his son Jimmy did spill, and started to get down to lick it up, Uncle Bill laughed heartily and said, “Don’t lick it up!! I was just kidding! !” The relief on Jimmy’s face was just hilarious!! The memories I have of that old bus are varied and many, too many to put here. It was a great old bus, and my Uncle Bill did an amazing job on creating a great travel bus, but more importantly he created memories. I know I will never forget them, nor will my sisters. Those were such good times. When the Texaco Refinery in Casper closed, my Uncle Larry decided to take the transfer to New Orleans rather than early retirement, which was just a little too far away at the time. I remember thinking that it was very strange to think that my aunt and uncle would be living so far away…because on my mom’s side, they all pretty much lived in Casper, or at least Wyoming. Nevertheless, they took the transfer, and off they went to New Orleans. It all seemed so exotic to me at the time. And I wasn’t sure I liked thinking of them living so far away either. For Grandma, it did have its good side however. With her son and daughter-in-law living so far away, a trip to see them soon became part of the plan. Having since taken a trip to Louisiana, I can relate to the excitement Grandma must have felt to be taking a trip there. Yes, visiting her son and daughter-in-law was the main reason, but to get to see that area of the country…well, it was definitely a plus. 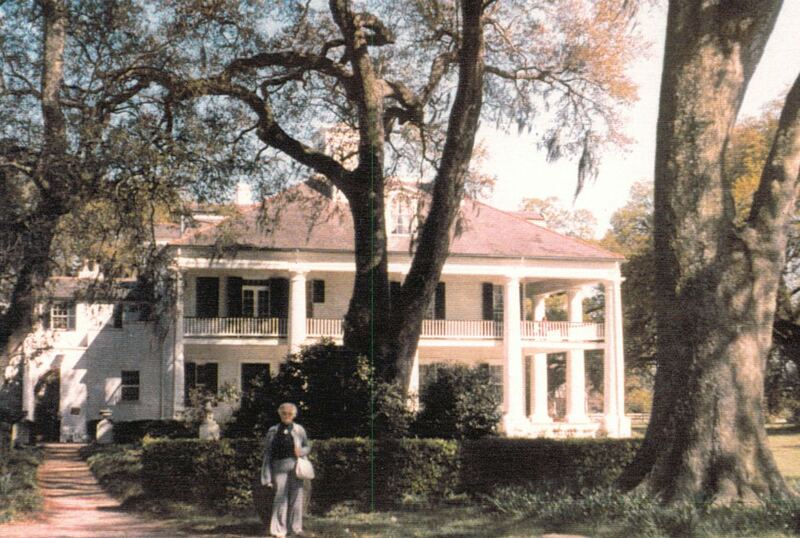 Plans were made to show her the Gulf of Mexico, the Plantations, and, of course, Bourbon Street. Having been on Bourbon Street, I almost cringe at the sights my grandmother saw…I mean, I was shocked, so what did she think. 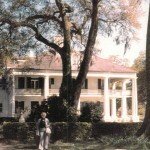 The plantations were amazing, so I’m sure she loved them, and the Gulf…well, it is too amazing for words. As I was looking at these pictures and remembering my own trip, it almost felt like walking in her shoes for a little while. I could picture what my grandmother was thinking and how she was feeling. It is such a different area of the country, and one that everyone should try to see if they can. It is like stepping back in time. It almost seems like many things don’t change there. I’m glad Grandma got the opportunity to goto the deep South, because sometimes trips like that can be a one of a kind event. Some girls are tomboys, some girls are drama queens, and some are simply princesses. Raelynn definitely falls into the princess category. Raelynn is a petite little girl, who loves to dress up in the prettiest outfit she can find. And it doesn’t matter to her if she is going for a ride on a four wheeler, a picnic on the mountain, or to church…her choice of clothing might very well be the same, because the prettier and more girly the outfit, the more this little princess likes it. As for cousins her age…Raelynn is pretty much surrounded by boys, except for her little sister, who has been a bit of a tomboy, but who seems to be changing that a little. Being surrounded by boys puts a girly girl in an odd position. She can’t quite figure out some of the humor that boys possess, in fact, a lot of it can make her quite annoyed. And for Raelynn, this is especially tough, because the three boy cousins that are near her age, and her own brother, are…well, all boy, and they don’t care if their play offends her in any way. They are simply having a good time, and she will just have to deal with that. Nevertheless, those same boys think a lot of their girly girl cousin and sister. Like most little girls, Raelynn is a Daddy’s girl. Most of the pictures where she and her dad are both in the shot, you will find that she is right beside her daddy. Being a Daddy’s Girl is not such an unusual thing. I find that there are many of us. 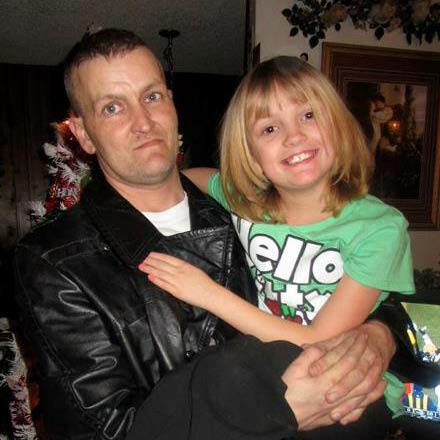 I was a Daddy’s Girl myself, and so I can relate to just how Raelynn feels about her daddy. Dads just seem to understand those girly girls. Maybe it is because dads are simply taken with their little princesses. From the moment they see that sweet little face, they know that the rest of their lives will be spent wrapped around her little finger. She is their girl, and they think that is just fine. 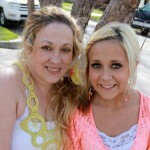 Today is Raelynn’s birthday!! Happy birthday Raelynn!! We love you!! Once in a while, you get the chance to rescue a wild animal, and in an even more rare situation, you might get the chance to raise that animal, usually a baby who has lost its mother, and really has no way to survive on its own. 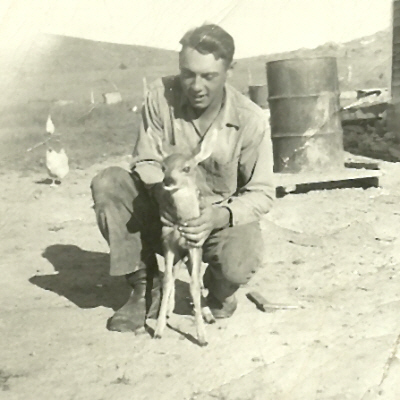 That situation came about for my father-in-law back in about 1946, when a baby deer found its way not only into his care…not only into his heart, but into the family. My father-in-law has always had a soft heart, and when he found this baby, whose mom was dead, and who was in a lot of trouble out there all by himself…well, he took him in and raised him. 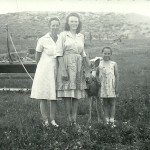 The deer settled right in and became part of the family. He revelled in the attention he got from everyone. I suppose the deer thought that my father-in-law was his parent, I mean, what else did he know, except that this person fed him and took care of him…just like a parent would do. 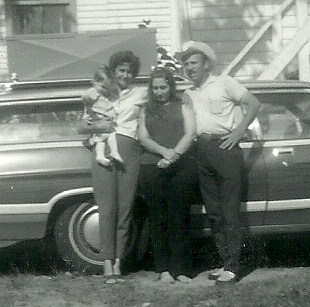 The deer was a part of the family for 2 years, during which time he was included in pictures with the family, and was even photographed by himself, sitting on the hood of a tractor. No he didn’t get there my himself. My father-in-law lifted him up there for the picture, but the deer didn’t see anything wrong with such a thing. He had become so much a part of the family, that he figured that was right where he should be. The deer shared in their lives for 2 years before they decided that he was ready to be released back into the wild, and once they let him go, they never saw him again. My father-in-law figures that he was probably shot by a hunter, but while I am not against hunting, I have to hope that this little darling somehow got lucky and didn’t end up on someone’s table somewhere. He is just too cute and too sweet to think that he was hunted, killed and eaten. Just my opinion. 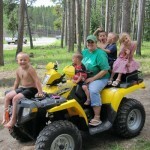 My Aunt Dixie, for the longest time had all grandsons. In fact, I was beginning to wonder if she would ever get a granddaughter, after her daughters gave birth to 5 boys over the years. She had always wanted a granddaughter, too. 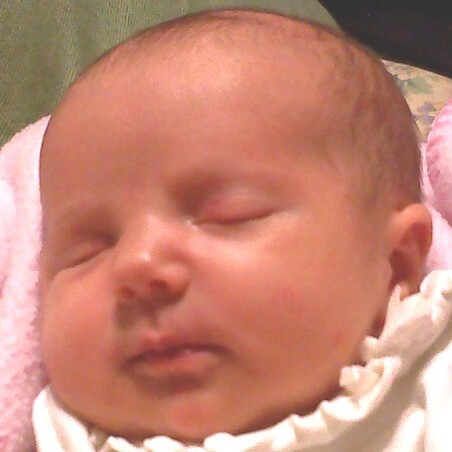 Well a little over a year and a half ago, she finally go her wish, when Mayme Ruth joined the family. Mayme was that baby that she would be able to do all the girly things with….if she wasn’t too much of a tomboy with 3 brothers in the house. As it turns out, those boys think their little sister is pretty great, and they dote on her a lot. In fact, I think she is pretty much the princess…or maybe the queen. If she wants anything, they are quick to get it. And while you would think that time would bring that to an end with little boys, I’m told it hasn’t. Even after a year and a half, they love doing things for their baby sister, which when you think about it, is wonderful…not only for her, but for her mom and dad. Those boys have in many ways taken it upon themselves to “babysit” their little sister, as well as entertain her. And they in return get to see her sweet little smiles and hear her delighted giggles. Not a bad deal for anyone. There is one little downside to this, however. My cousins Raelynn, who is Mayme’s mommy, and Jeannie, who is Mayme’s aunt, both agree that Little Miss Mayme is growing up way too fast. Her big brothers have taught her many things that many babies of 1 1/2 years just don’t know yet. That is something that is inevitable when you want so badly to be just like your big brothers. I’m sure Mayme has worked very hard to please them, and in doing so, she has learned how to talk better, maybe build things like blocks better, and many other such things that big brothers can teach their little sister. So, yes she is the princess…or maybe the queen, but it has not spoiled her, in fact far from it. I don’t see very much of her, but I’m told that she is just the sweetest little girl ever. And maybe the family is a little biased, but that’s ok, because they waited a long time for this little baby girl, and now they are just enjoying her presence. 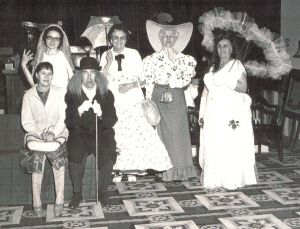 One of the fun things to do at the fair, and many of the tourist towns, like Keystone or Deadwood, South Dakota is the old time photo. 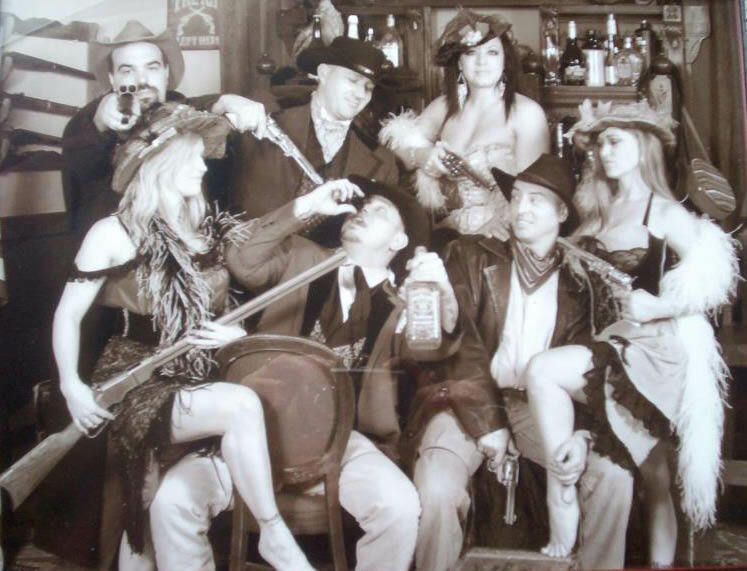 Even if you are not a fan of western movies, somehow when you get to a tourist town, those old time photos look like a lot of fun. And they are a lot of fun. 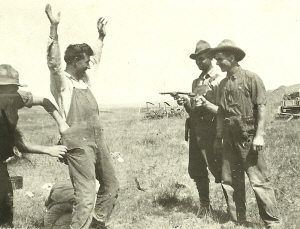 When you look at the goofy poses and the funny faces, as people try to create a possible scenario that might have been common to the Old West, you find yourself laughing instinctively. I guess it’s a way to move outside yourself, and step into someone else’s shoes for a few minutes. Maybe see what life was like in a different time, and being someone that we would never have been. A little bit of make believe can be a lot of fun, and of course, you need the picture for the memories that go along with all the fun. 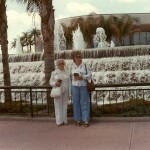 These pictures have been around a while…probably as long as cameras have been around. In fact, I have come across some old pictures of staged hold ups that were taken, not by a photographer, but by an individual. The people in the pictures are having such a good time that they are having a hard time not laughing about the picture as it is being taken. I found those to be especially funny. I used to think that these pictures were more of a modern day phenomena, but after finding these new pictures, I realized that the old time photos has been going on for a long time, and even in the early 1900’s people enjoyed making their own western pictures…creating their own memories of the past as they pictured it…passing on a little humor. We all like a few moments where we can escape reality and pretend we are in a different time and place. Kind of fun, when you think about it. Even my grandmother and her sisters and brother had an old time photo done. It was one of the more different ones I had ever seen, but it was really cool to see all of them dressed up and putting on an act. I guess it was something I never expected them to do…oddly. I loved the picture. It was like seeing them in a new light, and one I found very interesting…and pretty enlightening. A lot can be learned from the fun of have an old time photo taken, I guess. 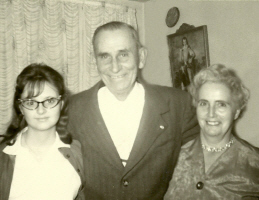 The other day, I wrote a story about my cousin, Elmer…Uncle Bud to his niece, JeanAnn and now, her children Mykenzie…Kenzie, as her mom calls her, and Ethan. That story has sparked another story…one that I think you will find very funny. I know I did when Elmer and JeanAnn told it to me. 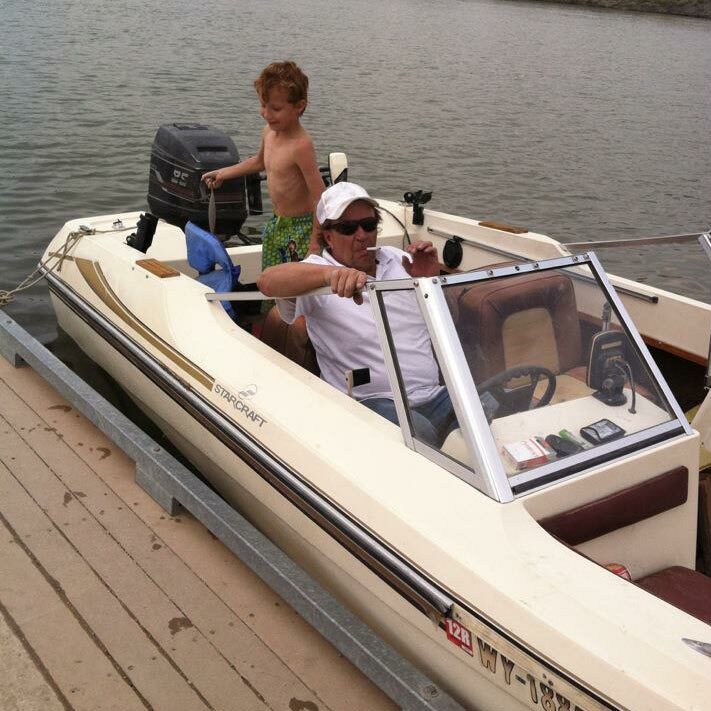 Elmer enjoys taking JeanAnn and the kids out to the lake, where they go boating and swimming. They all have a great time. Now, the kids are always picking on each other. Kenzie especially loves to pick on her little brother, and Ethan, being the younger one, didn’t often get the upper hand, but that could be changing. Ethan is all boy, and if you have ever been around boys, you will know that they are full of mischief…in fact, sometimes, I think they spend hours dreaming up ways to pick on or get even with their sisters. Ethan loves going to the lake, but he would much rather be in the boat or on the land or dock, because for some reason, at this age, he is afraid of the water. The kids are always wearing life jackets if they are going to get in very far, or in the boat, of course, and still, Ethan doesn’t like to be in much past his knees. On this particular day, Kenzie was swimming near the dock, and Ethan decided that he had found a great way to get even with his sister. So Ethan was running back and forth on the dock with a cup of water, that he was doing his best to dump on his sister. 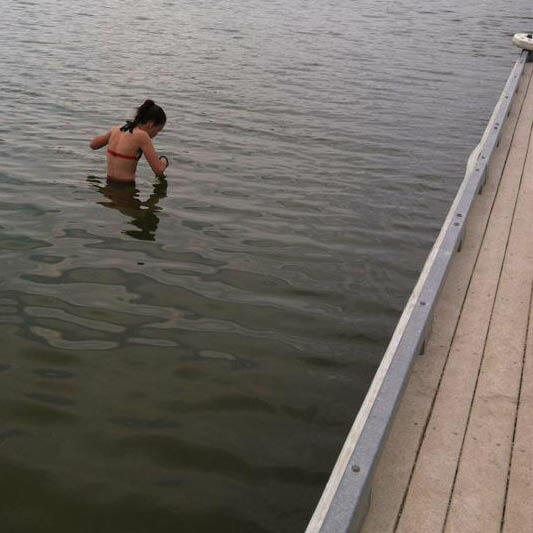 Of course, a boy running on a dock with a cup of water is bound to spill plenty of it, so the dock got wet from all that water, and when Ethan was running along the edge of the dock, the inevitable happened. Ethan slipped right off the dock. Now that may seem like it wouldn’t be funny, but I think you will agree that it is. 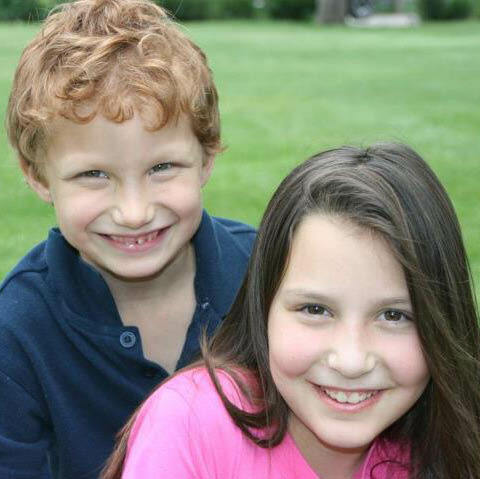 When Ethan fell off the dock, he landed directly on top of his sister. No one was in any danger, because they both had life jackets on, but that really didn’t matter, because they were both screaming and crying like they were in the middle of a hurricane. Elmer said it was so funny to see Ethan get his just desserts for all his teasing. Now, it’s true that Ethan had been caught in his own trap, but there was someone else who got caught too…JeanAnn. You see, JeanAnn was right beside Kenzie, and when Ethan fell in the water…on top of Kenzie, he also fell on top of JeanAnn. So with both kids screaming and crying, JeanAnn had the lovely job of trying to walk them up and back on the dock, but that proved a little difficult, since Kenzie wouldn’t let go of the dock, and Ethan wouldn’t let go of Kenzie’s head. Obviously outnumbered, JeanAnn couldn’t pry them apart, and finally ended up throwing them both on the dock…at which point it was Mommy who was the last one dunked. Can’t you just picture it right now. Children love to help. 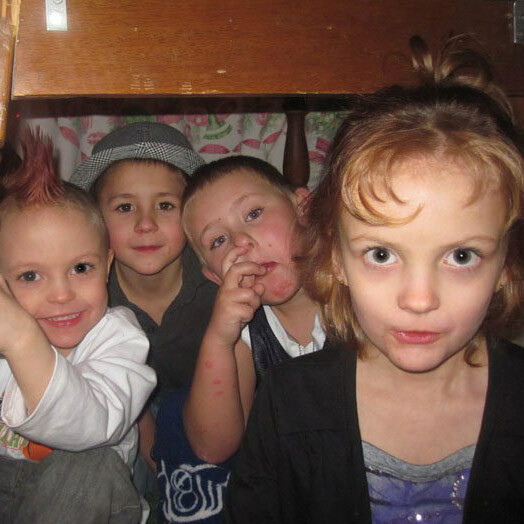 They see the things their parents or grandparents are doing, and they want to do those things too. All too often, the parents or grandparents think the child is too little to help, so they tell them to go play. In my opinion, that is a big mistake. Children can learn to be helpers at very young ages, if given the opportunity, they can become very good at it…maybe even experts. 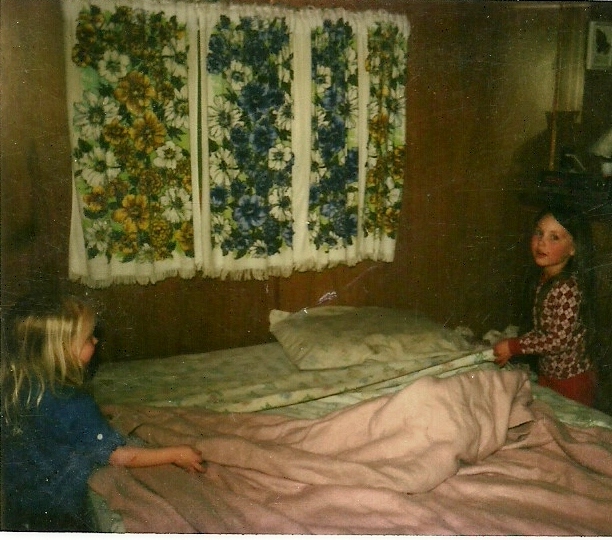 When my girls were little, they loved helping me with the household chores, and they got very good at making beds, vacuuming floors, washing dishes, washing clothes, and many other household chores. I know everyone teaches their kids to do chores, but when I have told people how young they were, they always seem surprised…like a child that young can’t possibly be trusted with some of the machines my girls used. No, they weren’t 3 years old or anything, when were washing clothes, but they were 7 and 8 years old. And they did it very well. My nephew, Barry always wanted to help his grandpa. My father-in-law was Barry’s best friend, and if Grandpa was doing something, then that was what Barry wanted to be doing. When a child shows such an interest in something, it is easy to teach them to actually do it. 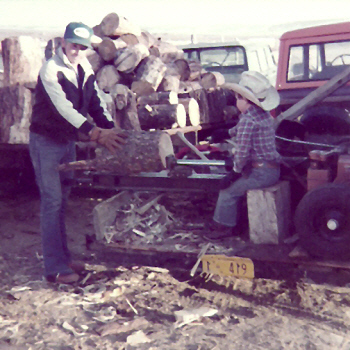 By the time Barry was 5 or 6 years old, he was running a wood splitter with my father-in-law just like an expert. 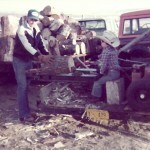 Barry was there to help split wood, when Bob and my brother-in-law, Ron couldn’t be there, either because of work or school, and he proved himself to be invaluable. When my own grandchildren were 10, 10, 9, and 7 years old, they helped us with the daily care of my dad when he was very ill. They didn’t care what we asked. They were willing to learn, and more importantly, they were willing to do. 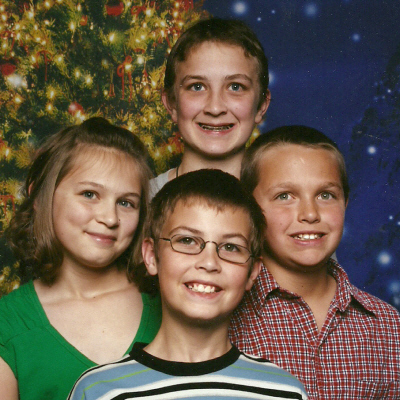 Today they have gone on to do other things, since they are 16, 16, 15, and 13 years old, but they still know how to be caregivers, and they are still willing to help in whatever way we ask of them. Children are never too young to learn to be helpers. Sure we have to try to make the jobs we give them be something they can do at their age, but sometimes they will surprise you by being able to do things that are way beyond their years, as was the case with Barry and the splitter when he was 5 or 6 years old, or my granddaughter, Shai when she single handedly took care of my parents all day when they and we could not, and she was only 10 years old, or my grandson Josh, who so completely understands the needs of my in-laws, and who quickly catches on to the new treatments we need his help with, and is so meticulous in the performance of the duties we give him. Children truly are never too young to learn, if we give them a chance. On Saturday, at a baby shower for her sister, I watched my niece, Chantel struggle with the fact that her daughter is going to be going to college in Montana, and it is a 10 hour drive, which will make weekend visits impossible. As the tears flowed, triggered by advise she was reading to her sister on raising kids, my heart just ached for her. The game was meant to be fun, but for Chantel, well, it just made her wish she could turn back the clock. She and her daughter have always been close and the thought of her moving so far away leaves an emptiness that can’t be filled. Yes, they will Skype and there may be a trip or two before the weather gets to where that is dangerous, and they will fly Siara home for Christmas, but that still leaves a lot of days without her daughter…her baby being in her everyday life. That is a tough place to be, but unfortunately it is also one of the seasons of life. My thoughts went back to some of the seasons of life that have torn at my heart. Probably one of the first ones that I remember, and was when my sister, Cheryl who is Chantel’s mother was moving to New York. We were also faced with the fact that we would be able to see her, maybe once a year, and the days leading up to that move were filled with quite a few teary moments too. 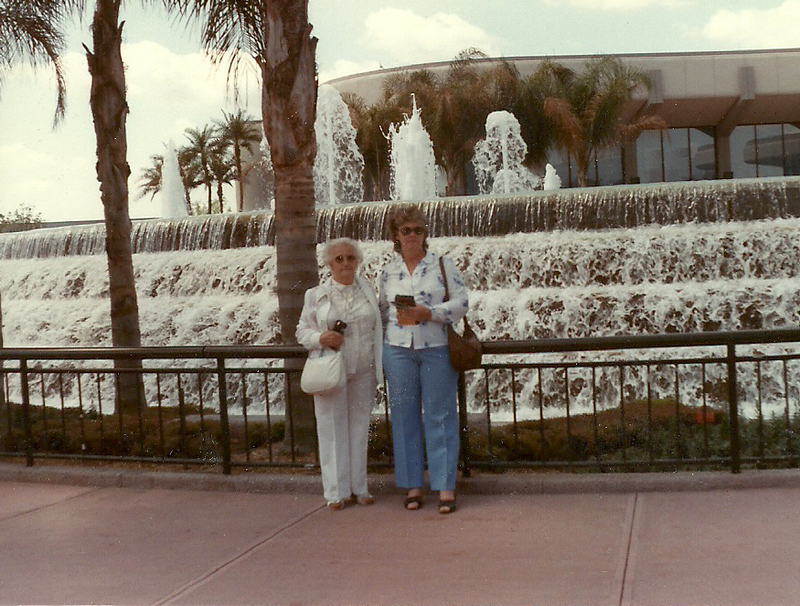 Then there came my sister Caryl’s move to San Diego, and while that move was easier in terms of the fact that we had been down this road before, it was still very hard. We are simply a family of people who stay close to home. We are all in Wyoming at this point, except one nephew, Allen, soon to be stationed in Japan for 2 years and one niece, Lindsay in college in South Dakota, and now Siara in Montana. We just like to be close to each other. I remembered my own seasons, which while not as hard were nevertheless, hard at the time. Corrie getting married. That first child leaving home moment is a hard one, even when they don’t move away, and then there is a semi-funny moment, when Amy went to pre-school, and was so excited that she left me at the door. I was the whiny one who had to go in the room and kiss her goodbye, hahaha. My thoughts wandered back to Chantel, and her breaking heart, and while I knew that this moment felt to her like she would never feel better, I knew also, that she would. The sting of those feelings eases with time, and while a dull, lonely ache hurts in its own way, it is easier than the intense pain of the moment. My guess is that Siara, like most of our family, will return to Casper after college, and the season for leaving will be for Chantel, a distant memory. Door to door salesmen have been around for a long time, and while many of us wish they would leave us alone, people used to like buying things that way. From the traveling medicine shows to the peddler selling everything from tonics to hair dye. It was how people learned about new products and without shipping too. Still, with some good products out there, people didn’t feel too ripped off for the most part. And many products like the Fuller Brush Company and others like them were on business a long time or still are today. It was simply a part of our history. There were some unusual sales too, or at least to my way of thinking. One of those that always seemed strange to me, but probably didn’t at the time is the photographer. I’ve seen the traveling photographer on shows like “Little House on the Prairie” and others, but never thought I would personally know anyone who would have their picture taken by a traveling photographer. 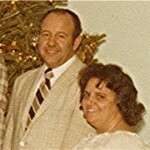 All that changed when I asked my Aunt Sandy about a picture I found of her and my grandparents when she, as the youngest, was the last of the children who hadn’t married and was still at home when the photographer stopped by. Grandpa decided that having their picture taken was something that would be fun, as he allowed the photographer to take their picture. 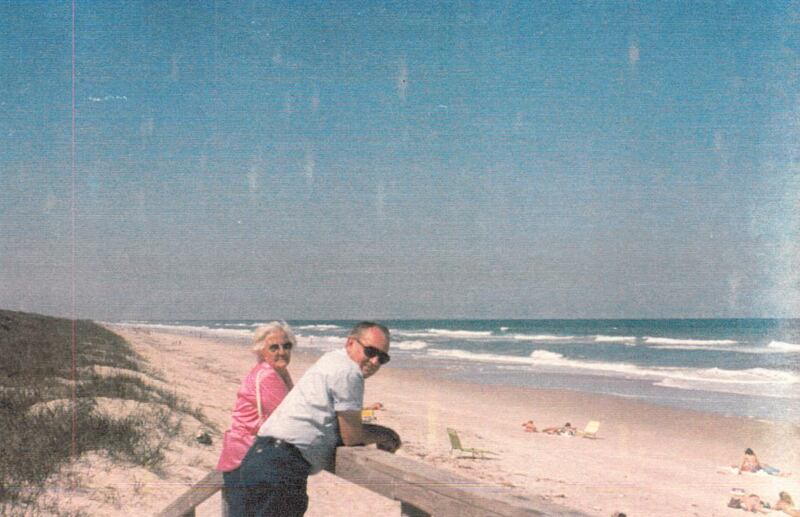 Now back in those days, there were no instant pictures, so I don’t know if the picture came in the mail, or in the photographer brought the picture back, but in my opinion, it was a really nice picture, and I’m glad Grandpa decided to have it taken. These days, a photographer is not really necessary for most pictures. 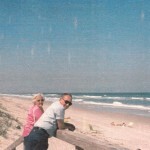 Cell phones and digital cameras can provide instant access to those shots that used to take a week or more to receive. And if a shot turns out bad you can see it right away, and fix it. And then there is photo shop, and other programs that allow you to fix bad pictures. I suppose either way has its good and bad points. And its place in history.